Imagine being a young child in a third world country, who longs to go to school, or a young lady who wants to learn a vocation. However you don’t have the necessary funds to go to school. Public education is non existent in Haiti and only the people who can afford an education can obtain one.The fact is, 47.1% of the Haitian population is illiterate, unemployment is wide spread and more than two-thirds of the labor force do not have formal jobs. Dismal right? 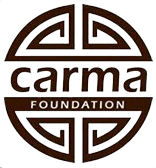 We at the Carma Foundation believe that education is an important tool to help escape poverty and that is why we created the Carma Foundation Scholarship Fund. Together we have successfully helped children in Haiti to attend the school of their choice and we have provided books, school supplies and uniforms. This program is dear to our hearts, and most importantly children receiving an education gives them hope for themselves and their families. Help us continue to educate our children in Haiti, Guyana and the inner cities of the United States!